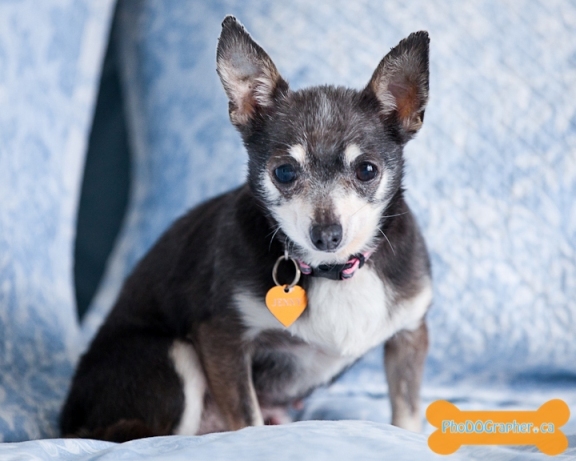 Jenny, a puppy mill survivor, was rescued over a year ago and has made tremendous amounts of progress. She is 12 years old and in spite of her age and being used as a breeding dog she is in good health. As in most puppy mill rescues, Jenny was not house trained. Over the past year her foster mom has worked extensively with her and tremendous progress has been made. She is excellent with small breed dogs but does panic when separated from her pack. Because of her panic attacks and stress marks she will only be considered for placement in a home with a stable small breed dog. While Jenny still has a ways to go, she is certainly on her way. In the right environment I’m sure this sweet pup will thrive and bring much joy to those lucky enough to have her. For more information on Jenny please visit Jenny’s page here, or contact Hopeful Hearts directly. Click Here for contact information. This entry was posted in Dog of the Day, Ottawa, Pet Rescue by Raquel. Bookmark the permalink.